I just spent a lovely day at Chisholm Elementary School in Edmond, Oklahoma. It really couldn't have been more perfect: well-prepared, well-behaved kids, scrumptious treats brought in to eat (these amazing frosted cake balls - trust me, they were delicious! ), librarians I could have talked to forever. Now that my boys, at ages 18 and 21, are too big to provide fodder for my books, and I no longer have the chance to serve as a parent volunteer in their classrooms, I walk through school hallways hungry for story material. A couple of years ago I scored big when I saw a hallway display of student work for an assignment in which students had to come up with ideas for how they would change the world. That was the seed for How Oliver Olson Changed the World. I even borrowed two student ideas verbatim: the jet-powered skateboard, and the plan from one little girl - "I would give food to poor people so that they won't starve, and if they starve, I will go to their funerals." I didn't get any full-blown book ideas today, but I did get to see a delightful bulletin board with the heading, "SPRINGTIME IN OKLAHOMA." Featured on it were kindergarten pictures of red bud trees in bloom, the buds made of tiny pieces of crumpled pink tissue paper, the pictures labeled by the kindergarteners with their kindergarten writing and spelling: "red buds," "red duds," "red bubs." That put springtime in my heart right there." Sometimes I think I should write about other subjects than kids at school - something enduring and timeless, not so grounded in the here and now. But then I go to a school for an author visit and see a bulletin board with red duds and red bubs in bloom, and I think, what could possibly be better than this? This is the last week of the semester at CU. I won't do a party for my large lecture class - just a very helpful review session with all the answers for the final handed to them on a silver platter. For my small 11:00 a.m. freshman intro to ethics class, held in the Farrand residence hall, I'll just have donuts and orange juice. Ah, but for my Rousseau class, we will have the best party imaginable. The food will be food Rousseau would have loved: crusty, rustic baguettes - cheeses from France and from his native Switzerland - fruits mentioned in the Confessions (cherries, if I can get them, grapes if I can't, apples) - a few sweets "for the ladies," as one of my students said, as Rousseau commented frequently that women prefer milk products and sweets. For music, we will listen to the CD of Rousseau's opera, Le Devin Du Village (The Village Soothsayer), for which he wrote both libretto and score - what other great philosopher can boast of an opera in his collected works? We will discuss the last and most haunting of Rousseau's late-life Reveries of the Solitary Walker: the Tenth Walk, unfinished at the time of his death, the walk from which Rousseau never returned. I also have a Rousseau-themed game. I'll tape index cards to each student's back, bearing the name of a character from one of Rousseau's works, and the student will have to guess his/her identity by asking only yes/no questions: "Am I man?" Am I fictional?" "Am I in love with Julie?" "Am I St. Preux?!!!" I have easy ones like Madame de Warens and Monsieur de Wolmar, but also hard ones like "the magician with the wax duck" and "Robert the gardener." I can't wait for my Rousseau class party! 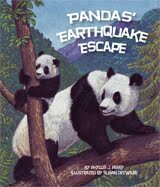 This morning I went to my writing group friend Phyllis Perry's book signing for her brand-new picture book, Pandas' Earthquake Escape, a fictionalized account of the plight of two pandas fleeing from the destroyed Wolong Panda Reserve after the massive Chinese earthquake of 2008. The book flap says that Phyllis has written over 70 books. I don't remember how many she wrote before she joined our writing group, but I know that she wrote the vast majority of them during her time with us, everything from this picture book, to a collection of poetry, to adorable library mysteries, to nonfiction for children and adults on subjects ranging from ocean animals to Rocky Mountain National Park. Our group has been meeting together for 18 years: originally with eight members (I was the eighth) and now with five; the other three remain dear friends and join us for our annual Christmas dinner. Among the five of us, I think we have close to 150 books published. When we began, we had hardly any. At least three of us were completely unpublished when we began; now all of us are published, and some, like Phyllis, as published as you can be. From our group, Annie and her husband and I were in attendance this morning, to cheer Phyllis on and come away with our very own signed copy of a book we watched Phyllis create. Congratulations, Phyllis, on another wonderful book. I consider one of my main life talents to be cutting manuscripts. In another life, I would have worked for The Readers Digest, abridging articles and books. In this life, I spent a decade as the editor and staff writer for the Institute for Philosophy and Public Policy at the University of Maryland, where one of my chief tasks was taking people's 40-page papers and making them into 10-page papers to publish in our quarterly journal/newsletter. Often the author couldn't figure out what I had removed. I was that good. I have always believed that just about any manuscript benefits from cutting. When I was first learning how to write a picture book, the process for me was all about cutting my wordy middle-grade-novel-ish draft into something tighter, more shaped and sculpted. The more I cut the story, the better it got. But now Nancy Hinkel at Knopf wants me to ADD 25-30 pages to my chapter book (tentatively titled Mason Dixon's Pet Disasters). Mason is a curmudgeonly fourth grader who resolutely doesn't want a pet; his well-meaning but clueless parents present him in turn with a goldfish, hamster, and cat, all with disastrous results. Then, to his great surprise, Mason falls in love with a most unlikely dog. The Knopf format for chapter books is longer than I'm used to, so she wants me grow my 70-page story into 100 pages. The strange thing is that I'm doing this, the book is getting better. I'm finding that it is so much more heartwarming to see Mason's attachment to Dog grow more slowly, with more initial resistance on his part. The greater his initial resistance, the more powerful the moment when he finally capitulates. How can this be? How can ADDING improve a manuscript when it's supposed to be CUTTING that improves it? As the King of Siam would say, "Eez a puzzlement!" Maybe - maybe every manuscript is different and no one-size-fits-all rule applies? I'd still put my money on cutting as the preferred technique for manuscript improvement. But, oh, I am loving every new page I'm giving to Mason right now. You may remember that when I was in New York in January, ready to attend a poetry writing retreat held at a convent in Mendham, New Jersey, I visited Alice's Teacup on the Upper West Side and had one of my manuscripts sprinkled with fairy dust. The week after I returned, I received an email from Stephen Fraser of the Jennifer De Chiara Literary Agency. First Stephen apologized for not getting back to me sooner (it had been only a week!). Then he said he wanted to represent the manuscript, first of a proposed three-book series. I am now pleased to report that Stephen has sold the series to Nancy Hinkel of Knopf/Random House, in a three-book deal. I have loved Nancy Hinkel for years. I met her years ago at an intensive writing workshop at Brigham Young University, where I was serving as a faculty member and she as one of the two guest editors. We hit it off immediately. We both love to start a new life on the first day of the month, implementing resolutions about diet, fitness, frugality, and splendid and dazzling things to be accomplished in our work. Periodically, over the intervening years, we would email each other on the first day of the month to see if the other one was also starting a new life. We love the same books: Knopf published The Penderwicks, by Jeanne Birdsall, which won the National Book Award in the category of Literature for Young People in 2005, the year I was a judge. I got the offer last month but was too shy to blog about it until now, overcome by the power of that fairy dust. Stephen and Nancy worked out the details of the offer to present to me on March 31. Nancy told Stephen that she wanted it settled by that date so that she and I could begin our new life together on April 1. I still love my home publisher, Farrar, Straus & Giroux, and my beyond-brilliant editor there. I hope I can publish books with FSG as long as I live. But I'm so excited about being able to write and publish more books. I like writing and publishing books. I think I can count my tea and scones at Alice's Teacup as a legitimate tax deduction. Don't you? And who, you may ask, is he? Answer: a 19th century French composer of instrumental music, now largely forgotten. I heard his Quintette, Op. 24, performed tonight in a lovely concert by the Chamber Ensemble con Grazia, in the Broomfield Auditorium. There were four pieces on the program, culminating with Gouvy. His quintet was preceded by a brief lecture about the man and his music, which led me to ponder the vagaries of fame. I liked the Gouvy piece as much as I liked the Haydn Trio in G major that opened the program. But Gouvy is so forgotten, lecturer Robin McNeil told us, that the score for the piece performed tonight has only been checked out of the Library of Congress twice, and the time before this one was in the 1920s. McNeil, who has spent fourteen years researching the music of Gouvy, said that people pronounce the music as delightful, but then go on to say, "But it can't be all that good, or else more people would be listening to it." Thus the lack of fame is itself justification for the lack of fame. 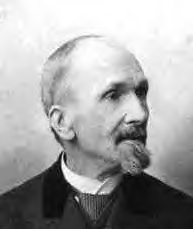 McNeil is trying to lead a revival of Gouvy, who was quite popular as a composer during his lifetime. I wonder if it will catch on. Bach, Beethoven, Brahms, and - Gouvy? I'm all for revivals of forgotten artists from the past. Maybe there will be a Mills revival someday? The only problem is that Mills is not yet famous enough during her lifetime for the swelling of fame for her a century after her death to count as a revival, exactly. A discovery, would be more like it. For now, I'll just content myself with rooting for Gouvy. Oh, Kim and I had fun! Besides the nonstop heart-to-heart conversations all day long, I had the treat of showing Kim my life and my world. As I showed them to Kim, I found that I liked them. On Tuesday, the afternoon of Kim's arrival, she and I attended a master class at the College of Music at CU by the remarkable cellist Ralph Kirschbaum. Six student cellists performed pieces by Beethoven, Bach, Brahms, Schumann, Benjamin Britten, and Bohuslav Martinu. The student performances were so accomplished that it was hard to see what Mr. Kirschbaum could find to critique. He found plenty. Here is the one piece of advice I wrote down on my program: "Every note emphasizes something in the music. You want to make sure it emphasizes something IN the music." That evening, after a dinner at Hapa's on the Hill, we attended a lecture in the Philosophy Department's THINK! series, on "Virtue and Violent Video Games." Wednesday, Kim came to all my classes with me and played student. In my 9:00 Philosophy and Society class I lectured on the deficiencies of various possible justifications for the practice of punishment and the alternative possibility of replacing punishment altogether with mandatory victim restitution. In my 11:00 Intro to Ethics class, I led a small class in discussion of the Shambhala (neo-Buddhist) choice between a rising sun versus setting sun view of ecological sustainability in our world, inviting the students to brainstorm with me on the worst possible setting sun meal and the best possible rising sun meal. This inspired Kim and me to have a rising sun salad lunch outdoors at Boulder Greens. Then Kim attended my 2:00 Rousseau class: Books 9 and 10 of his Confessions, in which Rousseau, living in seclusion at the Hermitage, writes Julie, Emile, and The Social Contract, as well as falls in love for the only time in his life. That evening we had a glass of wine at the St. Julien Hotel, where Kim was staying, out on the terrace with my friend Rowan, and then had dinner together, the three of us, at Cafe Antica Roma on Pearl Street. On Thursday, I met Kim at the hotel and we headed over to the Boulder Bookstore's Bookends Cafe, where I graded papers and Kim read. My daily quota of five papers completed, we browsed in Pearl Street shops until it was time for lunch at the Dushambe Teahouse, and then a tour of the three extremely varied exhibits at the Boulder Museum for Contemporary Art. We walked up to the university and popped in to the Navajo weaving exhibit at the small museum at campus. A short Skip ride on the bus later, we were at Rowan's house, collecting her for a hike up on one of our two favorite mountain trails, the one we call "Claudia's trail" as opposed to the one we call "Rowan's trail." Rowan served us a delightful light salad supper, and then Kim and I Skipped back to CU for a graduate student jazz guitar recital. So I looked upon my world through the eyes of a visiting friend - the stimulation of the university, the beauty of the mountains, the dearness of my friendships - and I declared it good. Remind me not to complain too much about anything! My life is good. My friend Kim is coming from New Jersey to visit today. I have been friends with Kim since first grade. Our friendship solidified in third grade, when Kim had the honor of serving as a private, and indeed as the only member, in the army that I commanded as General Mills (inspired by the cereal company). The point of the army was to chase the boys around the playground at recess. I have no memory of any particular battles that were waged, and certainly none of any battles that were won. When we put on a play of Caddie Woodlawn in fifth grade, Kim was Caddie Woodlawn, and I was stuckup cousin Annabelle from back East. When we put on a production of Little Mary Sunshine in seventh grade, Kim was Madame Ernestine von Liebedich, and I was one of the young ladies from the Eastchester Finishing School. In high school Kim was a cheerleader and a member of the Stage Band and Singers; I was editor of the school newspaper and still active in the drama club. Kim had four younger brothers, and at her house someone was always falling out of a tree and having to go to the emergency room. I had one sister, just a year younger, and at my house everyone was always well behaved and very very quiet. I loved the noisy exuberance of Kim's house. Sometimes I still have dreams about it. For the past couple of decades, Kim has been the one who hosted our high school reunions from North Plainfield High School, in North Plainfield, NJ. I've never missed a single one. For one of the reunions, I brought my son, Gregory, who was still a nursing baby; Kim's teenaged son, also called Gregory, babysat for him. I would never miss a high school reunion, and I'm beside myself with excitement at the prospect of Kim's arrival. Who else can hum all the songs from Little Mary Sunshine? Who else knows what my parents looked like, the layout of my childhood home, the terrible meanness of the fourth grade teacher, the boys I liked who didn't like me back? Who else served loyally beside me in my army? You already know the answer to that last question: nobody. So here is a picture of the Bartlett Reflection Center where I reflected during my weekend at the Undergraduate Ethics Symposium sponsored by the Prindle Ethics Institute at DePauw University. In my forty-eight hours there, I heard a talk by David Sloan Wilson of SUNY Binghampton on "Evolving the City: Using Evolutionary Theory to Understand and Improve the Human Condition," heard a discussion of a book on ethics in war, espionage, and covert action by David L. Perry, saw a play called Blue Lias (a one-woman show about Mary Anning, a 19th century paleontologist), led a seminar of student creative work on ethical themes (which included poetry, a short story, a brief play, and student memoirs ranging on topics from faith to food), and gave a talk of my own titled "Divine Love and Moral Arbitrariness," in which I displayed my much-worn childhood bear Panda, as a concrete example of how we - and God - can bestow value on something simply by loving it. There wasn't actually much time to sit in the Reflection Center and reflect. But there was time for visiting with dear former graduate students and admiring the Supreme Cuteness of their newly toddling toddler, and for conversing for hours with my friend Keith, who was in graduate school with me a million years ago at Princeton, and who is the best person in the world for talking about books, movies, art, philosophy - anything to do with the life of the mind. My own mind is a bit tired now. But it is also very, very happy. I fly off to Indiana today to attend the Undergraduate Ethics Symposium, sponsored by the Prindle Institute for Ethics, at DePauw University in Greencastle, Indiana. This is my second year participating in this wonderful event. Undergraduates from all around the country submit work on ethical themes, this year focusing in particular on "self-interest, altruism, and morality: evolutionary, religious, and philosphical perspectives." Some thirty students are selected to participate, all expenses paid. Three visiting scholars are invited to the symposium, each to lead one seminar group of ten students and to present a paper on the conference theme to the group. The symposium is held in the Prindle Institute's beautiful retreat center, overlooking an abandoned quarry that is now a wildlife reserve. 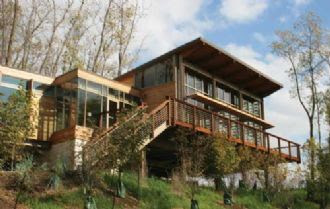 It's a quiet, meditative space, constructed all of natural materials - wood and stone. Just being there for two days is part of the treat. Best, I'm the visiting scholar who has been asked to lead the "creative" seminar, rather than one of the two "analytic" seminars. I'll be working with students who submitted short stories, poems, plays, and personal essays that examine some ethical issue or theme. I so love when I can combine my love of philosophy and my love of creative writing, and here is the absolutely perfect opportunity. Add that two beloved former grad students, and one beloved friend from my own grad school days, now teach at DePauw. Prediction: this is going to be a magical weekend. I review children's books, an average of five a month, for the online book review forum Children's Literature; I sometimes see my reviews for them on the Barnes & Noble website as well. 2) the thought that I might say something critical about some author's book and then I might meet her at a conference someday - the horror! But if I'm not willing ever to say anything critical about some author's book, I shouldn't be reviewing books in the first place. While I feel I owe a duty of some degree of kindness to my fellow authors, I also owe a duty to the readers of the review who are turning to my assessment of the book for guidance as to how to spend their time and money. So I try to balance kindness and honesty as best I can. Madonna is confident enough that she is a rock star of children’s literature that this eleventh installment in her English Roses series begins with multiple claims that the only readers who would need any background about this group of five English girls who are “fast friends” would be someone “recently released from an asylum for the criminally insane.” We also get at least three explanations that when the narrator makes reference to a “football,” this is “what you Yanks call a soccer ball.” In the story itself, Binah is the only one of the Roses who has no summer plans, so Grace invites Binah to come with her to Atlanta. Binah has her first plane ride ever (and throws up in the barf bag), spends time with Grace’s large family in the American South (depicted as African-American – well, colored brown - in the illustrations), is homesick for her father and for the other Roses until she is comforted and cheered by her host family, and then returns home again. There is an average of one exclamation mark per page: “She wished she’d paid closer attention during science class!” “She missed [her father] already!” “Clearly this loud and chaotic event [baseball] was a popular pastime in the U.S.!” Binah’s most common thought as she heads out on what is supposedly the biggest adventure of her life is: “Here goes nothing!” – which could serve as a neat summation of this bland and insipid tale. Oh, I mean, bland and insipid tale! Last night I attended my writer friend Cat's seder, held in one of the lovely cottages in Boulder's Chautauqua, tucked right up against our famous Flatiron moutains. I've been a guest at Cat's seders for years now. This year was extra special because Cat and Doug's nine-month-old baby, Max, was making his first seder appearance. The best part of the seder, besides the chance to meet and reconnect with so many of Cat's family members and wide circle of friends, is the singing of the song Dayenu. The song relates the various miracles and wonders God wrought on behalf of His people: bringing them out of Egypt, splitting the Red Sea, providing manna from the heavens for food, giving them the Sabbath, giving them the Torah. Each verse has the structure of proclaiming that if God had done only this ONE thing, it would have been enough ("dayenu"). If He had brought us out of Egypt, dayenu. If he had given us the Sabbath, dayenu. The powerful element of the song is the accumulation of all of the verses. Each one of these would have been enough as a divine gift. God gave us ALL of them. This makes me want to write my own personal dayenu song for today, this day before Easter, cataloging my many blessings. If I had sweet and loving children, dayenu. If I had good health in body and mind, dayenu. If I had work that I loved that people are willing to pay me to do, dayenu. If I had lived in a beautiful place on a beautiful planet, dayenu. If I had a wonderful network of friends far and near, dayenu. If I had a cat to cuddle, if I had books to read, if I had words to write: dayenu. It always seems to be the busiest month, at least. Certainly the busiest month for those of us who teach at a university, that last intense final stretch of the spring semester, which we face with accumulated fatigue from the semester before. In addition to the usual teaching (and I'm teaching an overload), and the grading (oh, the grading! ), I also have to revise and expand a chapter book for a May 1 deadline, find and edit four articles for the Philosophy & Public Policy Quarterly, review paper abstracts submitted for the Rocky Mountain Ethics Congress, read drafts of graduate student dissertation chapters, and write a promised article for a centennial collection on The Secret Garden. During this month I'm also going to DePauw University for their Undergraduate Ethics Symposium and speaking at some schools in Oklahoma. I'm having a house guest for the better part of a week, a dear friend who needs to get away from her life by visiting mine for a while. I still need to visit my mother on a near-daily basis. And I've gained back EIGHT of the fifteen pounds I lost last summer through Weight Watchers, so don't you think I should prioritize exercise as well? Last April I was similarly overwhelmed by the month's cruel busyness, and I made a plan for myself, which worked very well. I sat myself down and made a sobering, thorough list of everything I had to do for the month. I ended up with 90 things on the list, each one pretty much equivalent to an hour's worth of work. (The list didn't include teaching, preparing for teaching, exercising, or living, but did include grading and writing/editing tasks.) All right. There are 30 days in April, so 90 divided by 30 is 3. All I had to do was three things a day - three things every single day - and I'd get through the month with everything on the list done - guaranteed. Finding the three hours was tricky, but luckily I'm an early riser. For the month of April, I would have to be a VERY early riser. If I got up each day at 4, and worked from 4-7 to accomplish my three things, then the rest of the day would be mine to do with as I pleased (or as the university pleased). So now it's time to do this again for this new cruel April. It's already April 2, and I already didn't get up at 4 this morning, so I'm two days behind. Oh, well. I will decree that this April, by special dispensation of Claudia, will begin tomorrow and will extend through May 2. And then? Why, then it will be the merry month of May.